Note how the little gold stars or snowflakes in the paper set the stage for the larger snowflakes and all that gorgeous gold mirror paper. The gold sequins are the frosting on the cake, so to speak! Such a very striking creation – just love it! 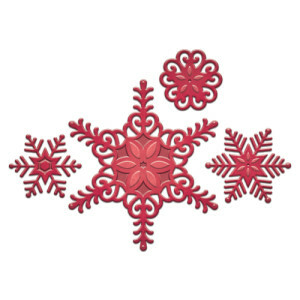 Spellbinders Create A Flake Six - ON SALE! Paper: First Noel by Kaisercraft – ON SALE! 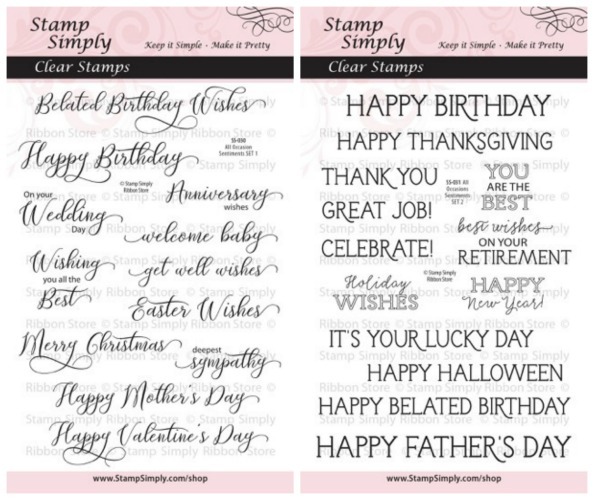 Holly used SET 2 today, but as you can see, with both of these versatile stamp sets in hand, you’ll be covered for all the yearly holidays and occasions that could possibly arise! This is one of those ‘must-have’ duos!!! First Noel by Kaisercraft – ON SALE! The pad is JUST STUNNING! 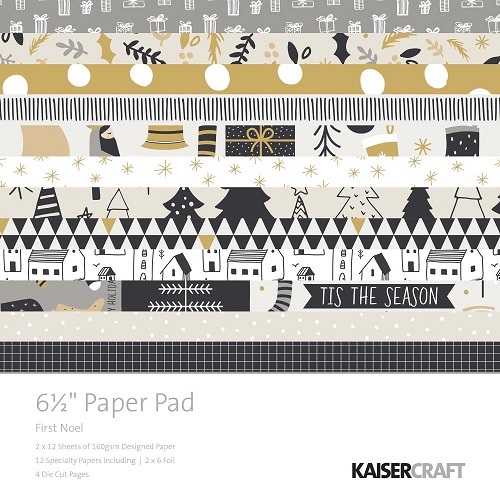 Find all Kaisercraft CHRISTMAS papers in stock here – ON SALE! 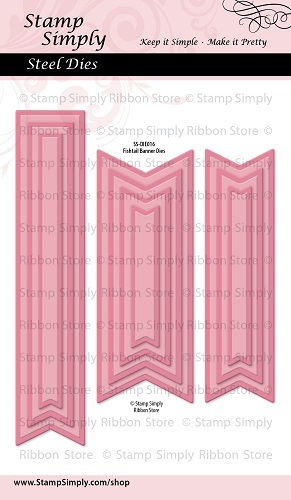 Spellbinders Create-a-Flake Six – ON SALE! Find more Christmas dies here – ON SALE! 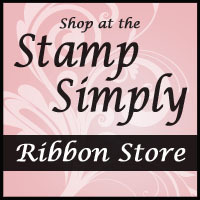 Most definitely one of the MOST well used and versatile border dies! 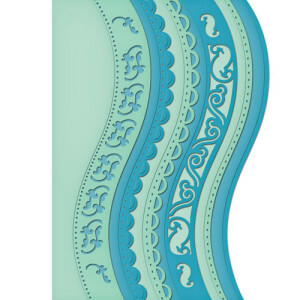 Find Curved Borders Two and Three here. Have a wonderful day today and new week ahead! This is gorgeous! I love those snowflakes-especially against the mirror cardstock.